So…… you want to be a fight promoter? White has often questioned whether or not athletes are competing for the right reasons and if they have what it takes to step inside the octagon. Granted, any person who puts on the four ounce gloves and steps inside a locked cage to face a foe one-on-one surely has some intestinal fortitude, but does their drive or desire to push forward in the toughest of times extend beyond the fight in front of them? This is when competitors are separated from champions. The other side of the fight game that we as fans often take for granted is actual ‘promotion’ of the event. What does it take to put on a fight card? 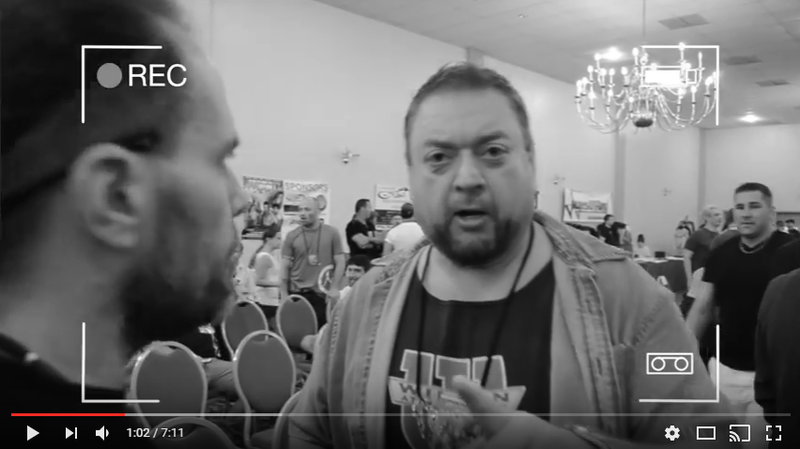 The video below dates back to World Cagefighting Championship’s (WCC IX), June 27, 2014 at the Econo Lodge in Allentown, Pennsylvania. WCC Fight promoter Doug Yasinsky and his team provide an in-depth look at the ups and downs, and ins and outs, of putting a show. Everything from the show’s production, marketing, matchmaking, and more are some of the stresses put on the man or woman laying their money on the line. Will a fighter make it to the show after you have them booked and tickets are sold? Tens of thousands of dollars can be laid out to put on an event and if any one thing goes wrong or is not handled correctly, the promoter could lose it all. The actual business of running a mixed martial arts promotion is much like being in the cage yourself. One wrong move and you can find yourself knocked out of the game. Becoming a fight promoter is a complicated and often expensive journey that involves compliance with strict state laws. Promoters are responsible for every aspect of an event from acquiring the promoter’s license and the event permit to making certain that all of the participants including the contestants and their managers have the appropriate licenses and are current on their annual fees. Promoters need to make sure to develop a complete understanding of the laws in the area of the event. Violating these rules and regulations can leave the promoter susceptible to lawsuits and/or a revocation of their license. The logistics involved in putting on a show can be burdensome and in many instances too much for one individual person to handle. Travel and lodging for your competitors, making sure they are where they need to be, when they need to be there, and ensuring all paperwork is in order is just the start. The business is not for everyone, but at the same time there are certain personalities that can handle the pressure and are excellent at what they do. It can be challenging, and tough at times, but that is the fight business. The best way to understand the business is to be in the business. You cannot wake up one day and say, “I want to start a fight promotion.” It doesn’t work that way. The fight game is continually evolving and with technology the way it is today the short-lived business which was really made famous on that November 1993 night in Denver, Colorado, is not the same that it was back then. Once you have the gameplan down and things are running smoothly, the key is to keep the secrets to yourself. Once you let the cat out of the bag, others can and will take the money and run. Everyone is searching for that pot of gold at the end of the rainbow. If you found it, would you tell everyone you know?